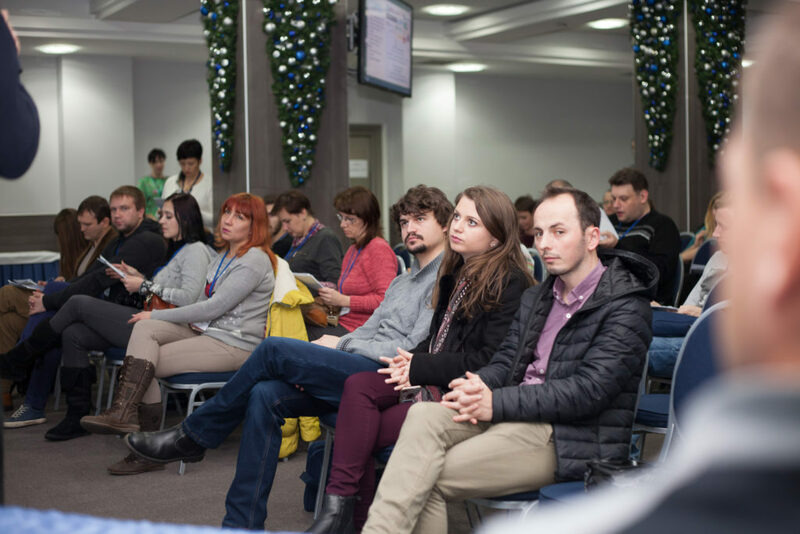 The key event of the year in investigative journalism, the conference will take place on Dec. 8-9 and will gather more than 150 Ukrainian and foreign journalists, editors and prominent experts in the field of investigations, data processing, safety of journalists, copyright. Traditionally Regional Press Development Institute (RPDI) organizes the event with the support of international donors. The speakers will deliver their presentations in three parallel tracks – by the participants’ choice, except for the plenary sessions which all participants are invited to attend. This year’s conference topics cover both global aspects of investigative journalism: journalism ethics and professional standards, data processing, use of drones, digital security, and Ukrainian realities: effectiveness of investigative journalism, safety of journalists, working in the occupied territories. A new online training course in investigative journalism is to be presented at the Conference. See the program for more details. 11.45 – 13.00 – Plenary session. Why is it dangerous to be an investigative journalist in Ukraine: statistics, analytics, judicial practice and expert opinions. Additional registration is required to participate. Results of the monitoring of investigative programs by Detector Media, with the participation of the representatives of those programs. Speakers: Natalia Lihachova, Fedir Sydoruk, Nadiia Babynska-Virna. Donor support of investigative projects: achievements, mistakes and priorities. 17.45 – 19.00 – Plenary session. Results and futility of state anti-corruption institutions: reasons, problems, possibilities of cooperation with investigative journalists. Speakers: Daryna Manzhura (head of the department of external communications of the National anti-corruption bureau of Ukraine), Oleg Lozovy (chief detective of the anti-corruption unit of the Department of economic security at the National Police of Ukraine), Yehor Soboliev (Parliamentary committee on preventing and fighting corruption), Inese Voika (anti-corruption advisor, UNDP), Skirmantas Malinauskas (anti-corruption advisor to Lithuanian Prime Minister). Speakers: Oleksandr Humenyuk (Slidstvo.info), Valentyna Samar (Crimean center for investigative journalism), Andriy Klymenko (BlackSeaNews). Ukrainian legislation on copyright: problems of piracy in investigative journalism. Legal and non-legal consequences of investigations for investigative journalists. Speakers: Iryna Basenko, media-center “Vlasno”; Denys Bihus, bihus.info; Volodymyr Torbich, “Chetverta Vlada”; Mykhaylo Tkach, “Skhemy”, Radio Lyberty; Danylo Mokryk, UA:First/Bihus.info. Experts: Mykola Kostynyan, digital security expert; Oksana Maksymenyuk, media lawyer, RPDI; Larysa Arkusha, investigative activities expert. 16.30 – 17.00 – Final remarks. Closing of the IX National conference of investigative journalists of Ukraine.